We DO NOT allow families to complete program applications or enlist on our program waitlist until they have met our staff and have learned more about our program. 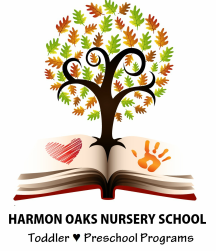 Yes, even if you were referred by a friend who is a present family at Harmon Oaks, we will still ask that you attend a formal Open House or tour. We deeply feel that FIT matters, and families need to truly feel they are the right FIT for Harmon Oaks. Sessions Now Full - Waitlist families will be contacted Friday should space become available. take a tour of our facility or join us for at an open house event! Our curriculum, philosophy, and facility offers the highest in quality child care within preschool and toddler programs. We are located in Lake Balboa, only minutes away from the 405 freeway in the Encino, Northridge, Sherman Oaks, Tarzana, and the Van Nuys vicinity. We are only able to schedule a tour with individual families when a seat is available in the program in which you are inquiring. If a seat is not presently available, we kindly ask that you attend an Open House, by completing the reservation survey to the left. We are presently not holding any individual families tours, but will be holding Open House event every six weeks through the spring and summer terms for waitlist applications into both the Summer & 2019-2020 Nursery School Year programs.